Birth Photography: What to know, how to prepare. – StoryTeller. by Lifesong Photography & Designs.In .Leave a Comment on Birth Photography: What to know, how to prepare. Birth Photography is one of those overlooked moments. Since you found out you were pregnant, you and your body have been preparing for the day your labor begins. You have been checking off “to-do” items and making sure every necessary item makes it’s way into the hospital bag. You are almost ready, you are just waiting for that day to arrive. But….wait! Have you thought about how to hold onto the first moments with your minute-old baby, forever? If you had a wedding, it is likely that photography was one of the first deposits you put down. Most people push aside the idea of photography for the birthing process. Maybe it is because they know it is one of the most pain-filled moments of a mother’s life or possibly because they have only given thought to have a maternity and a newborn session. Keep in mind, the birthing process is also beautiful, if not THE most precious moment for a mother to experience. At the very least, it will be a moment you cherish. In my opinion, birth photography, is the rawest form of photography. I put it next to Military Homecomings in terms of the emotion which can be captured and I believe both of those life events should be captured by a professional. Birth photography should be done by a professional for a multitude of reasons but a few very important ones. One, the photographer’s ability to alter their gear to fit the lighting and the circumstance is vital.Two, hiring someone to be there is alleviating your loved ones from the pressure they may feel if they are asked to “snap a few pictures”. Three, whoever you trusted to be there to “snap a few pictures” would be missing out on the amazing experience first hand; instead they would be looking through a lens. Just like Military Homecomings, but even more so, laboring and birth is a time filled with unknowns and delays. There are few moments in life which rival it in the “hurry up and wait” game. However, you can do some preparation which will allow the process to go more smoothly. Talk with your provider and know the hospital guidelines. All physicians and all hospitals have different guidelines, practices as well as personal feelings when it comes to photography. Since you, as the client, know the hospital and the physician (or midwife) the best, you are the one who should relay any information to your photographer. Keep in mind, sudden changes in policy may not be readily accessible to your photographer (example: no photographer at certain stages of labor or no videography). Tip: Even if it is within protocol and you have received the “okay” from your doctor for your birth photographer to be present, it is important that at EACH appointment you remind the doctor and that it is in your records and/or birth plan. This way when the photographer arrives for duty, the photographer can be updated and are allowed to know where you are and how you are doing. Some hospitals have a strict enforcement of the release of information and therefore, the photographer would not be allowed where you are until you say so. This could result in the photographer missing the laboring, the birth or both. Be sure to let your photographer know once you have been told you are dilated or if you are measuring ahead of your due date. Rarely (if ever) will your doctor or midwife change your due date, but they will tell you how you are measuring up. In this day and age it is common to email, text or Facebook message in order to get a response from someone. However, when it comes to the moment of notifying the photographer of labor, you will want to be sure they hear their phone. It is always best to call them first, then follow up with text or email. Most importantly, call your photographer the moment you are experiencing labor pains. When it comes time for the birthing process to begin, more times than not, the birthing plan goes out the window, the carseat is left at home and your mind is scattered. This is completely understandable. However, the photographer cannot be present at something which they do not know is happening. Tip: Have your spouse and at least 2 friends and/or your Doula input the photographer’s information (Name, Phone Number, Email) into their phone where they can find it back easily. Keep in mind, they should make it a name they can search for quickly (example: “Birth Photographer”). Some photography company names do not include key words which can be searched for, so therefore they would have to scroll through all of their contacts to find that person. Each birth is incredibly unique, which makes them that more stunning to photograph. Each baby is their own little person and therefore each moment of birth different from the rest. Although Pinterest, Instagram and other sites used for inspiration are wonderful, there is no way to have a Pinterest-inspired birth. You need to understand that the unpredictability of the birth may prevent your photographer from capturing each and every angle you had hoped for. You need to hire a photographer you trust to grab the angles and snap the images which best capture the moment. Tip: With the understanding it may not be possible to get all of them, let your photographer know images which are close to your heart. We call this a “shot list”. Keep in mind events, such as a wedding, make it is a lot easier to run down a list of shots to take because there isn’t such a guessing game when it comes to timing. Trust that you have hired someone to take care of you and to be your personal paparazzi. They are going to [silently] take care of all of the pictures for you. Just enjoy the moments as they happen, pick out a name and hold that bundle of joy tightly. Tip: I always tell my clients to ignore me. Why, you might ask? This is because I am there so this moment is captured but I am not there to be a part of this moment. This moment is for the celebration of new life and praise to God. This moment is for the Mother to take in the smell of her precious babe and a Father to witness one of the greatest gifts being given to this World. This moment has nothing to do with me, so let the moment go on without worrying about me. When you book your birth photography session, often photographers will offer other services as well. These can really enhance your “Lifesong of Birth,” if you will. They will help you remember the look of your precious child as they quickly change. 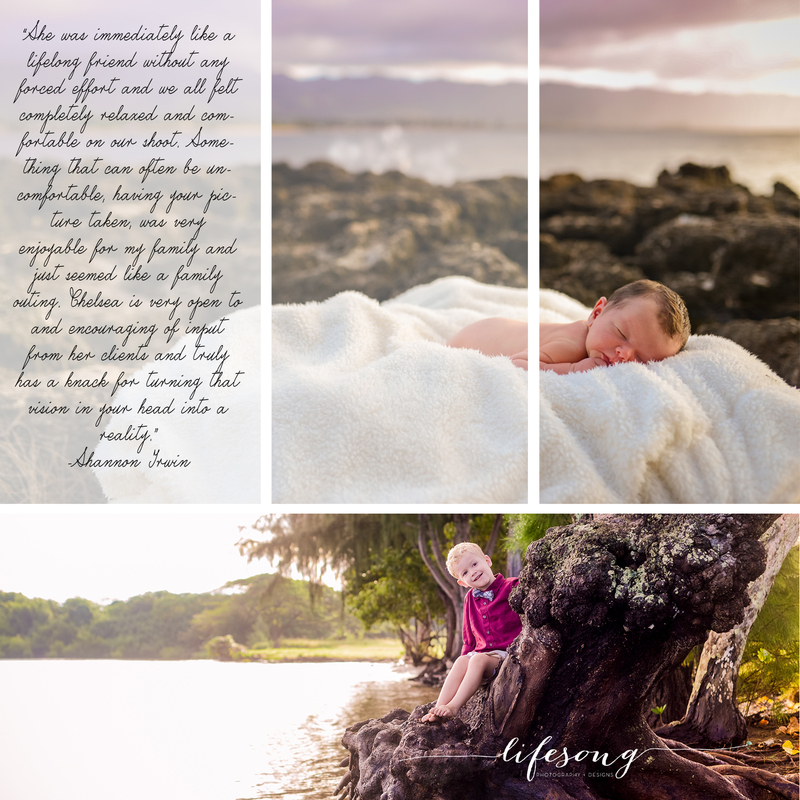 At Lifesong Photography & Designs, I offer a wide array of options for your birth photography needs. I also offer the opportunity to “package” multiple sessions. Birth Photography Session: A session where I am on “call” and ready to meet you where you give birth. Newborn Session: A session scheduled solely for the purpose to capture the beauty of the newborn. There is no set time limit on this session. Family Session: A session of all members in the immediate family to love on and cherish the arrival of the newest member. Previous Previous post: Beautify Your BUMP! Next Next post: What to wear, what to wear!